Why Should I Buy an Elliptical Machine Instead of Stair Climbers and Treadmills? Elliptical machines are much easier on the joints than the stair climbers and treadmills. Your whole body gets a workout instead of getting a workout that mainly focuses on the legs. An elliptical machine is much easier on your back, hips, and knees. Ellipticals can be used for both forward and backward motions. Using an elliptical increases your metabolism and helps you lose fat. When you use an elliptical in a forward motion, you build strength in your hamstrings (the back of your thighs) and your buttocks. When you “walk” backwards on the elliptical, you build your quadriceps (the front of your thighs) and calves (the back of the lower legs). An elliptical is a very intense workout, so you can build your endurance very quickly. With the quicker heart rate, you increase your metabolism both during the workout and afterwards. Then you are able to burn fat from your body. We are a family-owned store. Buy elliptical/San Francisco from our store or online. We are in the Bay Area and we have been in business since 1981. We have worked with all kinds of people. We offer a best price guarantee for our equipment. We also provide same-day delivery for the San Francisco/SF Bay area, and we provide excellent customer service. We also provide a 30-day guarantee. The San Francisco/SF is a hilly area and when the rainy season comes you don’t want to get out of your workout routine. Ellipticals will give you endurance and also have hill climbing programs. You will then be able to go up and down those hills when you want to exercise outside. Elliptical machines are low-impact and provide a whole-body workout. You can also choose to work with different groups of leg muscles by moving your feet in a forward or a backward motion. You can also alternate between forward and backward motions. 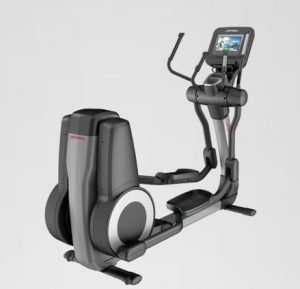 Buy elliptical/San Francisco because we sell high-quality ellipticals. We have worked with all kinds of people and provide same-day delivery for the San Francisco/SF Bay area.